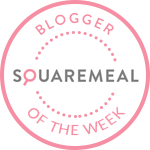 Jubo, London | ivy eats again. So lately, I have a thing for KFC. I don't mean the fast food chain, Korean fried chicken is like the fashion of the moment at least in the Korean world and I do love a finger licking fried chicken. 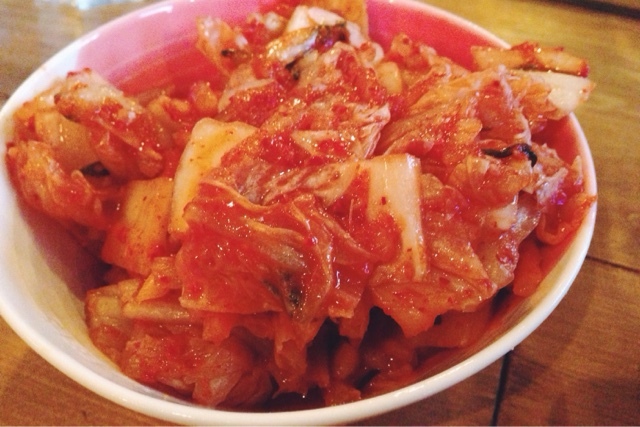 Jubo, meaning canteen in Korean is the second branch to open at Exmouth Market. I have always been told, New Malden is the Koreantown of London and it is where the benchmark is set. Yet, I have not made it so far and I will just stick to what I can found in central London for the time being. 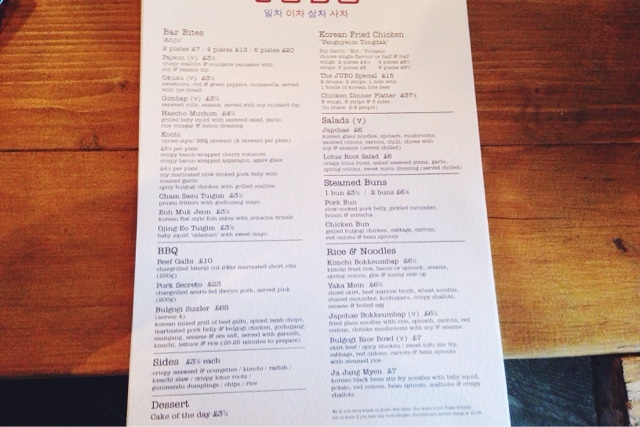 The menu is centred around K-town staples with the like of fried chicken and buns. Korean inspired cocktails are served here as well as the local Korean Hite beer and soju. I am not too keen on the fact that they only serve draught beer in half pint, and pricing it to similar price of a full pint. Our main business of the evening, was the fried chicken wings. We went half soy garlic and half hot flavour, it is not as spicy as expected which we could have gone for the volcanic hot. Deep fried to amazing crunchiness and sticky coating. It is the best I had in London yet. Rest of the meal was less impressive. Yaka mein is an US export commonly found in many Creole and Chinese restaurants in New Orleans, a beef noodle soup with a cajun seasoning in the broth. 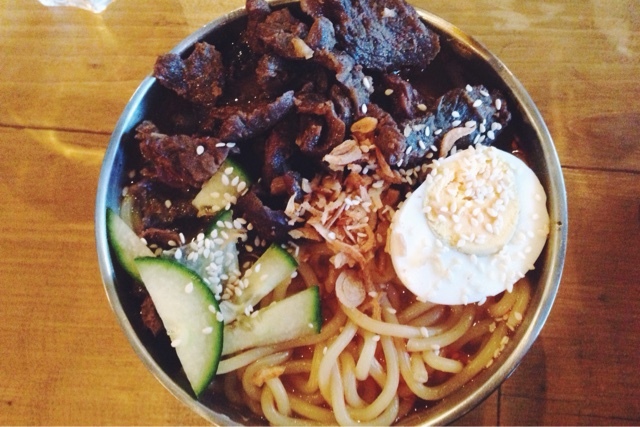 Meat was on the dried side, it is a interesting bowl of noodle just not spectacular. 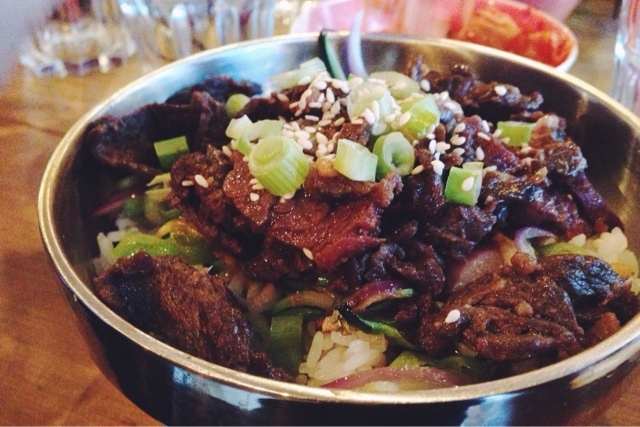 The bulgogi rice bowl was better, it is a tad sweet the meat and I added Sriracha sauce to mild down the sweetness. The kimich was alright, missing the pungent kick of sourness and heat. 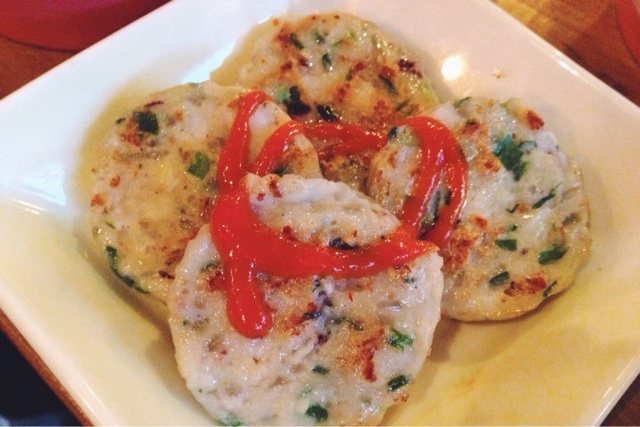 Eoh Muk Jeon is a Korean flat style fish cakes with sriracha drizzle, lightly pan fried. Non memorable. 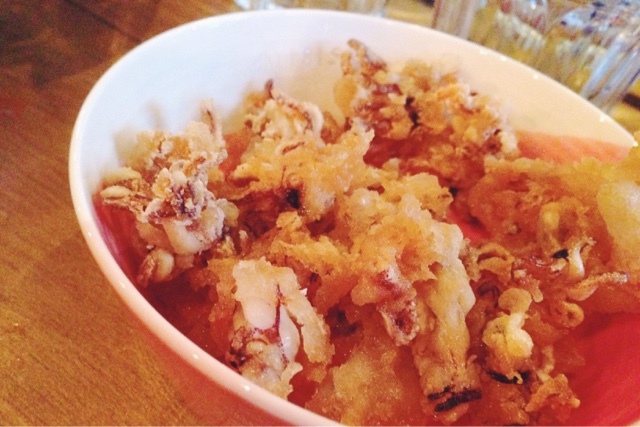 Ojing-Eo Tuigim is baby squid calamari which they forgot the sweet mayonnaise and was just edible. 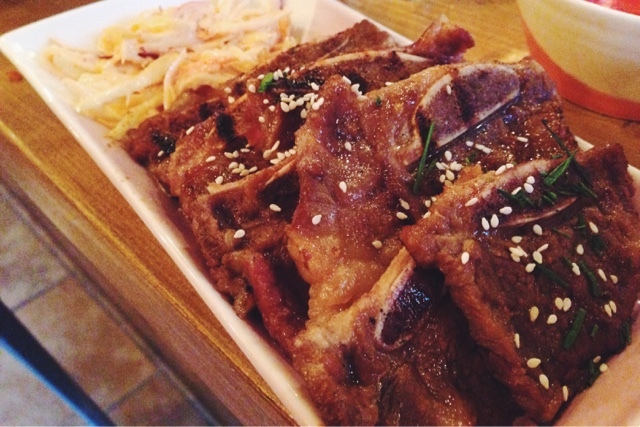 The beef galbi were not too bad, chargrilled lateral cut 24 hours marinated short ribs accompanied with a kimchi slaw. I thought it needed more smokiness and the meat could be more tender, it was still enjoyable and I don't remember tasting the kimchi in the slaw. It's a decent crunchy creamy slaw. When it comes to food, it may seems like I am very picky. If it is good, it is good. If it is bad, it is bad. If it is edible, it is edible. 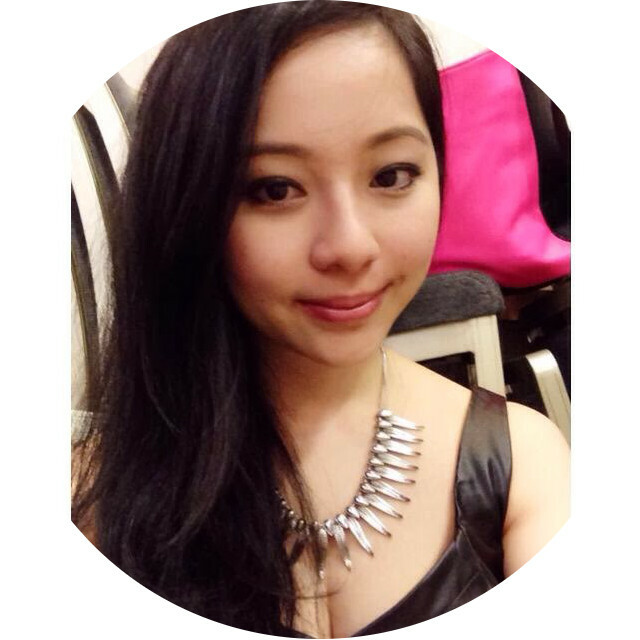 Well at least I am still alive after so many trial and error. 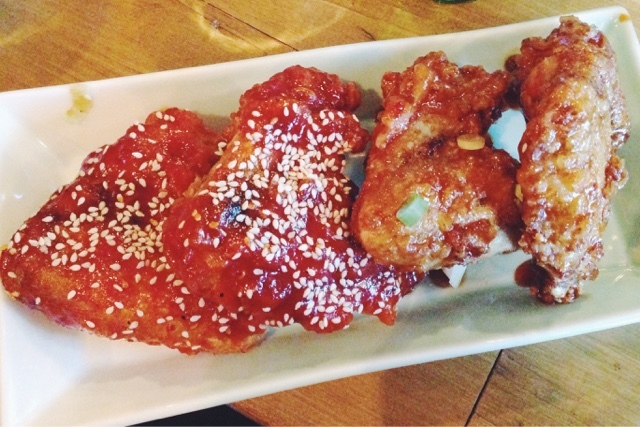 The Korean fried chicken were truly the most tastiest of the night or just about in central London. For the rest, not the best and not the worst. 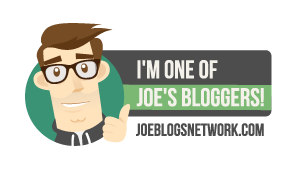 I think I had the misfortune of attending the first day of soft launch and experienced shocking service. A very big miscommunication, different staffs told us different items was unavailable on the menu which got us confused what was actually available on the menu. Lastly, waited 15 minutes before the wings arrived and a horrid of more than 45 minutes until next arrived, unacceptable to the point nearly wanted to walk out to so many other fantastic options in the area (not that I did). If I can get the wings for take away, that is what I will do next time.